Mamalila is a family business in the best sense and in many respects. The birth of her two children was the reason for the managing director, Vicki Marx, to found Mamalila. 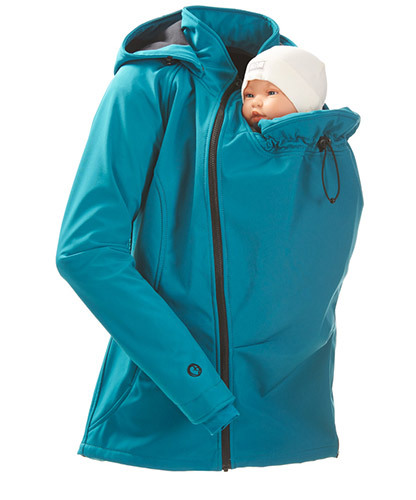 As a huge outdoor and babywearing fan, the young mother discovered a gap in the market. 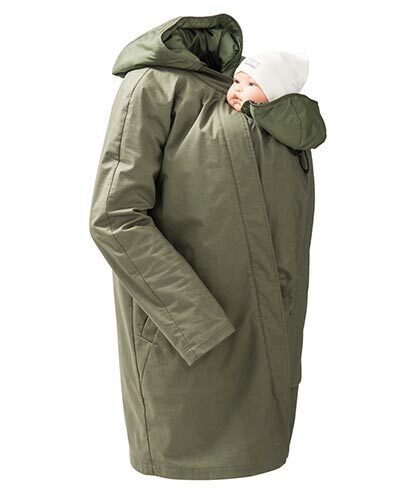 If one wanted to go outside in bad weather while babywearing, then a jacket was needed that was different from what the market at that time offered. 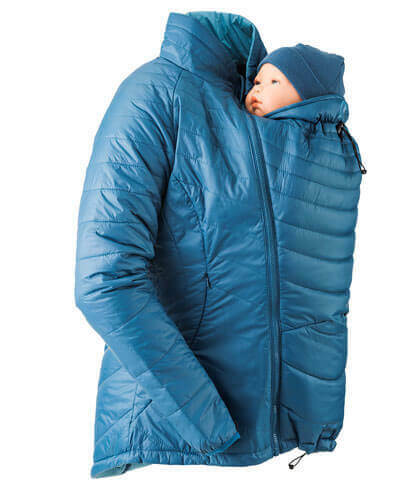 So, Vicki developed her first babywearing jacket and gave birth to Mamalila. She always kept her own children in mind, her own enthusiasm for babywearing in her heart, and her own demands for responsible, sustainable action in mind. Family values and a sense of connectedness heavily shaped the new born mamalila. And yet, as the family business gradually became more professional, constantly growing, finally having to move out into its own premises, the sense of family remained intact. Mamalila today is still almost exclusively mothers working part-time, bringing their experience from family life into play at work and conversely taking some work knowledge back into the family routine. 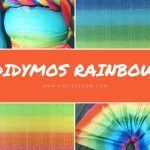 They remember how it feels to be heavily pregnant or babywearing and weighed down, wistfully browsing through father and child images, and of course routing for every expectant customer as they approach their due date. And they are every day happy to be a member of the growing Mamalila family. Babies and parents are at the centre of our products. This particular target group and the fact that we too are parents, serves as a constant reminder that we have a great responsibility towards others and the environment. 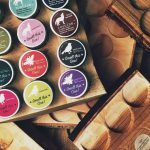 Belonging to the conscience of Mamalila is a far-sighted, respectful approach to the resources available, as well as the realization that what is good for the environment is generally also a better alternative for humans. Sustainability, in the ecological as well as in the social sense, plays an important role at Mamalila. The realization of sustainability is indeed the very corner-stone for our products and the Mamalila Concept. A high-quality, versatile and therefore long-lasting jacket, which easily adapts to different life situations, conserves resources, retains its value and produces less waste. 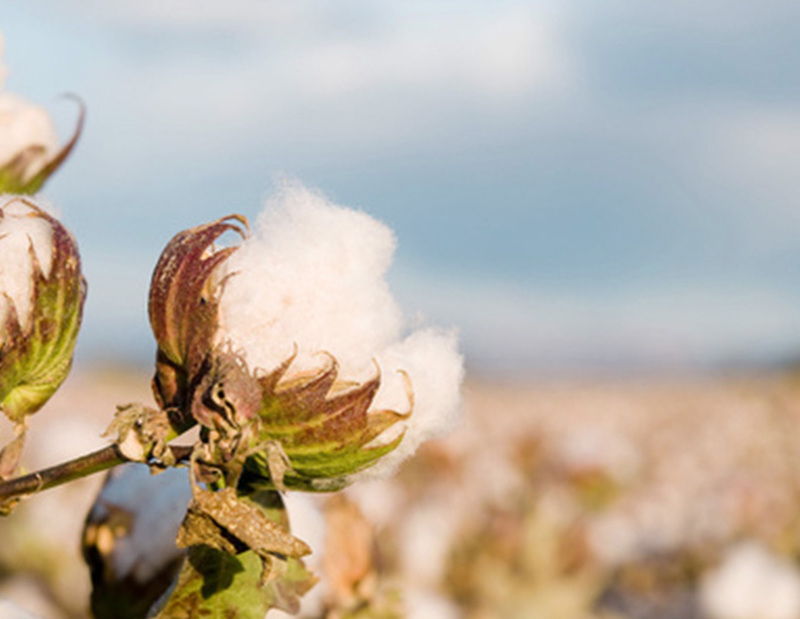 Organic: Mamalila only uses organic cotton from controlled organic cultivation. Reusable: recycled or recyclable fibers are used where possible. Innovative: newly developed materials are excellent alternatives to animal products such as down. 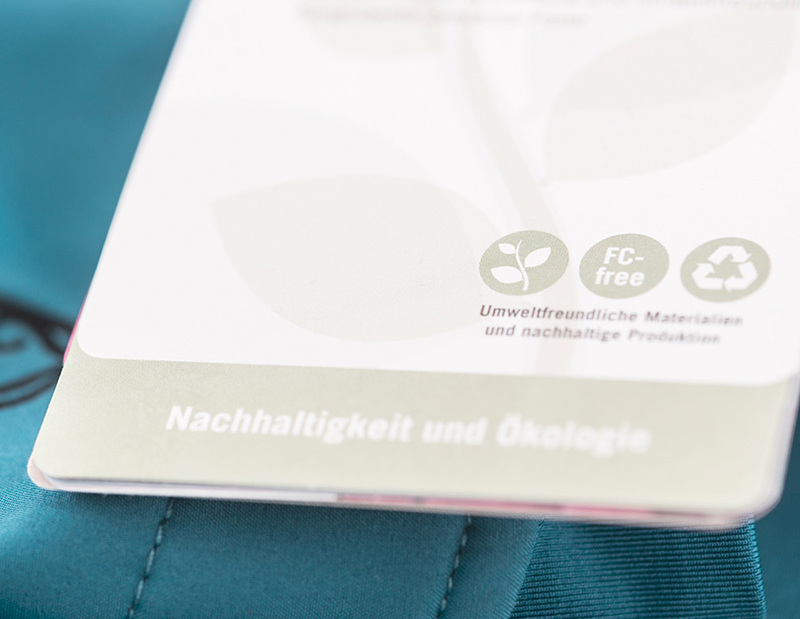 Skin and environmentally friendly: Mamalila avoids substances which can accumulate in the ecosystem or even in humans, not just when wearing the jacket but also during its production and life of product through off-gassing. The demand to act sustainably also affects the production of their jackets. After all, as a manufacturer of high-quality textiles, they also have a responsibility to the people who sew their jackets in countless individual steps. Therefore, Mamalila works exclusively with family businesses which have proven that they create fair working conditions. This translates into fair wages, no child labour, and effective measures in workplace safety, among other things. Mamalila regularly visits their production sites and builds close working relationships with their collaborators. Additionally, in an effort to reduce their carbon footprint, they avoid long transport distances and produce more Mamalila jackets directly in Europe. 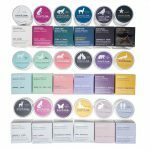 And so it is that the Mamalila feel-good moment begins at the moment of purchase and continues each time each lovely coat is worn. 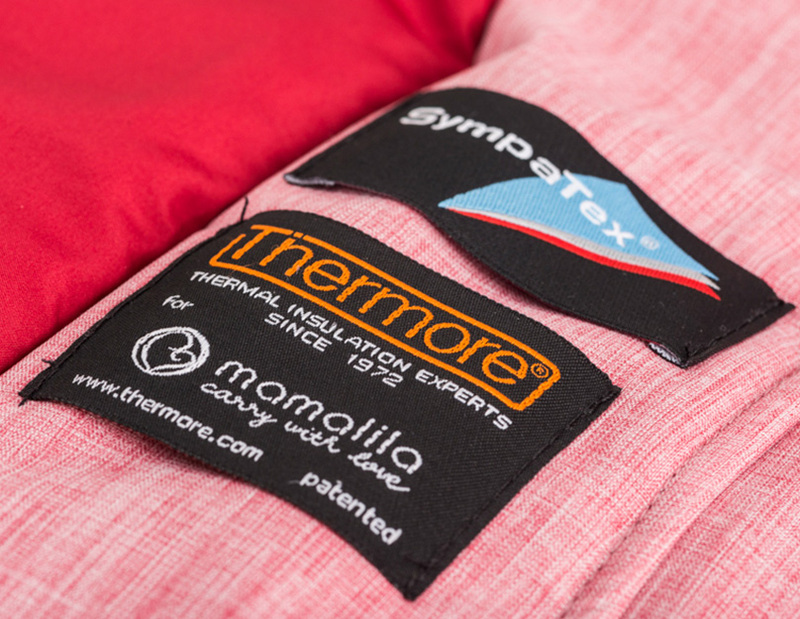 Learn more about the Mamalila options..
For Babywearing, Maternity and Everyday Outerwear! 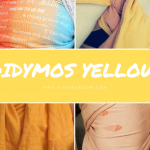 Whether for long walks in the snow or short trips to the playground, in the mountains or the city – if you want to get out while babywearing, you will need reliable protection from wind and rain that is not only season appropriate but also style appropriate. 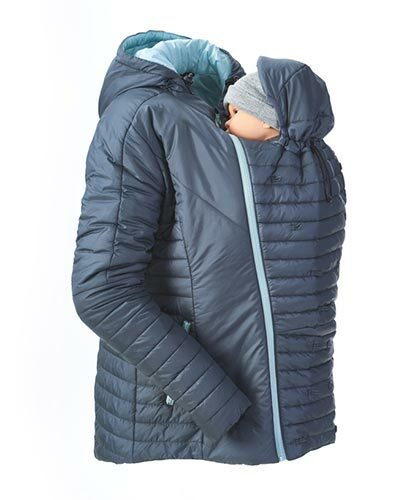 The extensive Mamalila collection therefore offers babywearing coats for winter and light jackets for the transitional seasons, and side by side come high performance functional outdoor models with urban working mom styles. 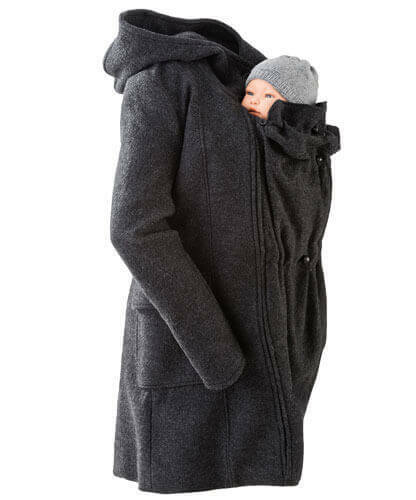 They all have one thing in common – thanks to the many well thoughtful details and their versatility, all Mamalila coats and jackets become a faithful companion for many years, be it during pregnancy, while babywearing and even when travelling solo! This is the award winning Mamalila concept. This bestselling all-rounder can truly be worn all year round, thanks to its light fleece lining and waterproof membrane! Feels like down – the vegan way! This warm but ultralight quilted jacket, with innovative filling, is the perfect mid-layer. 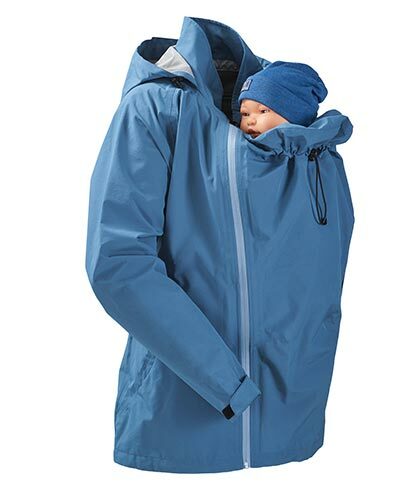 The perfect protection for mother and child in wind and rain. It can be worn as a light summer jacket or combined with the mamalila quilted jacket as a winter option. 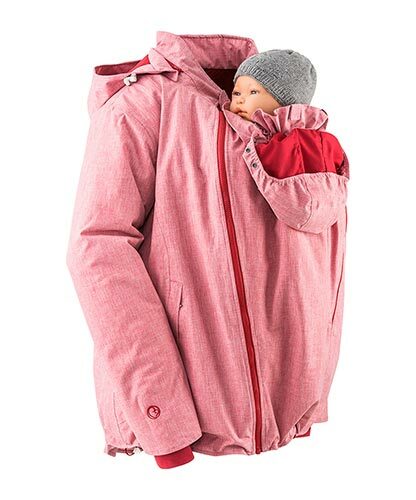 Performance is the keyword for this functional jacket, a babywearing jacket with additional backpack insert for outings in bad weather. 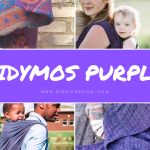 This timeless classic is versatile and babywearing compatible. Versatile thanks to a removable inner jacket for the transitional seasons. 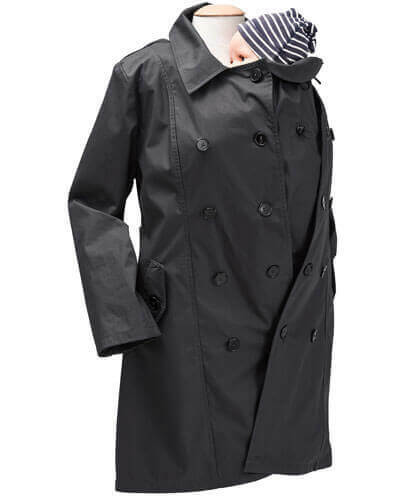 This all year round coat is the absolute eco product, extremely versatile and the perfect mix of weather resilient and office appropriate. The first choice for fashion conscience moms in cold weather. Not only stylish, it is windproof, dirt and water repellent. 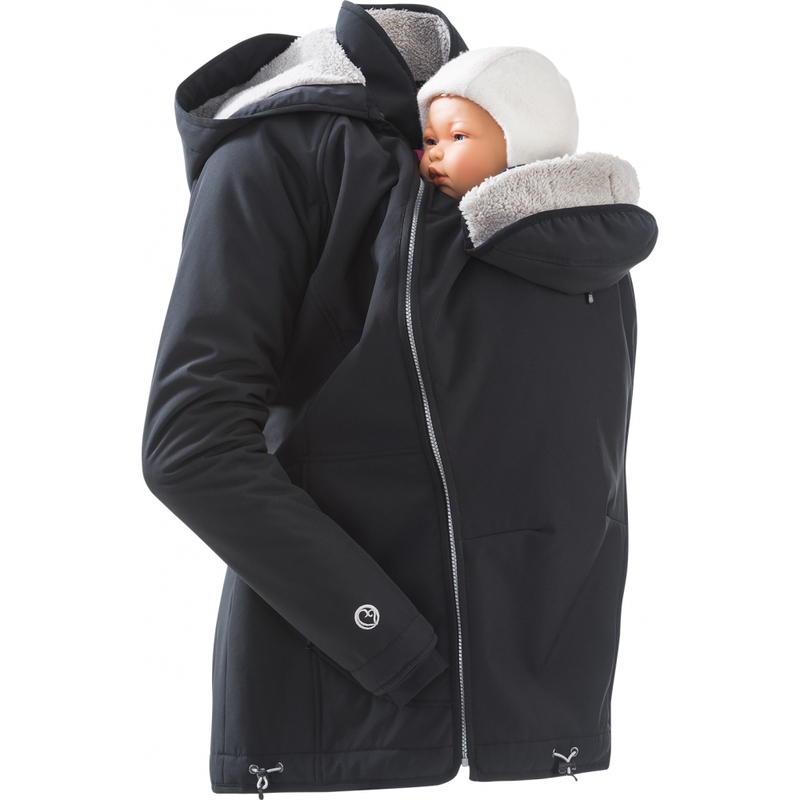 In the depths of winter this jacket keeps mom and child toasty warm and dry, without any of the hassles of a snow suit. The very warm yet surprisingly light winter jacket is weather resistant impregnated and the perfect everyday companion in freezing temperatures. This is the winter sturdy version of the mamalila softshell jacket: the Allweather Babywearing Jacket with cosy teddy fleece lining. 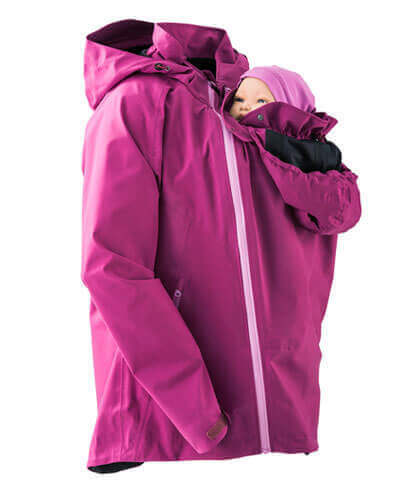 Just like the Softshell Babywearing Jacket, it is equipped with a wind and waterproof membrane, which is also breathable, super flexible and warmer!